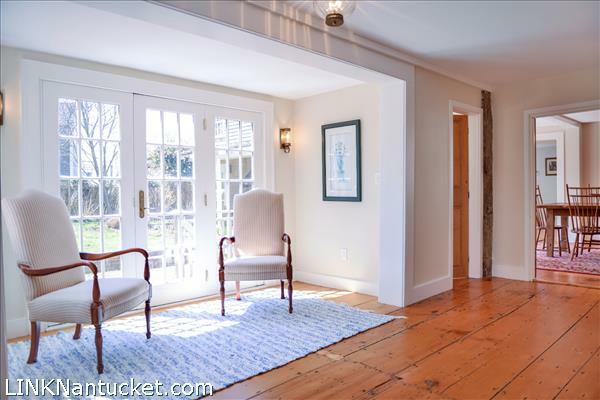 First Floor: Formal south facing entryway off a brick path from Cliff Road leads to a foyer, sitting area and stairs to the second floor. 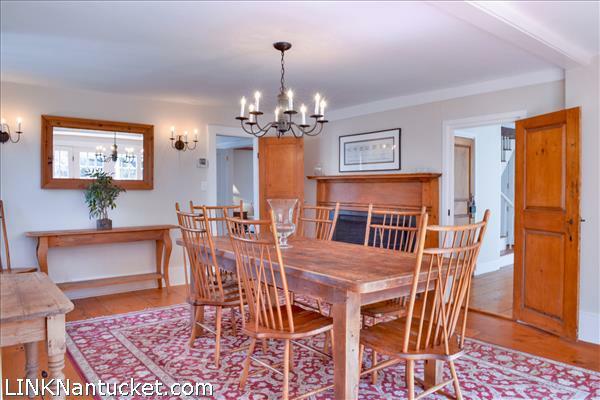 Beyond the foyer is a formal dining room with fireplace. 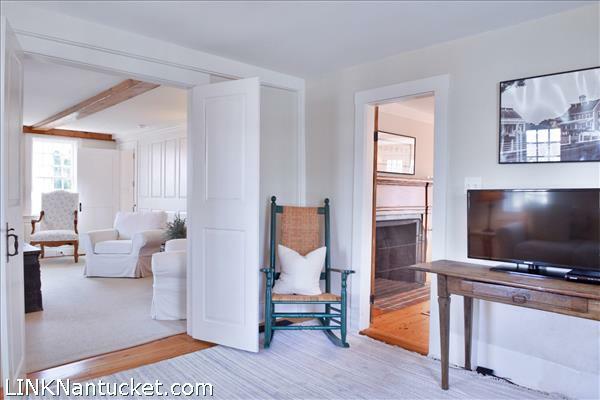 To the right of the front entryway is a formal living room with fireplace and a den beyond, with an open stairway to the basement. 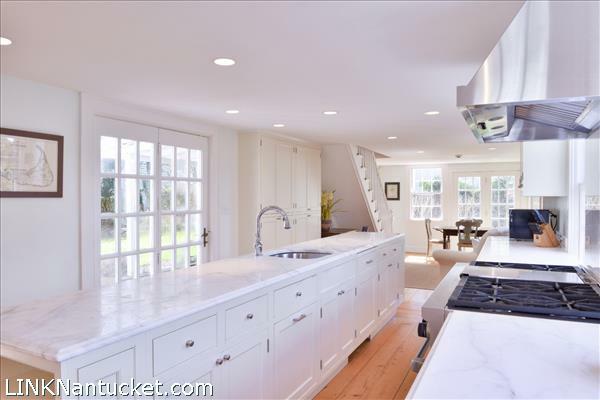 A second entryway comes in off of the off-street parking space and leads to the kitchen with large island, spacious pantry and French doors to a charming patio with pergola and garden. 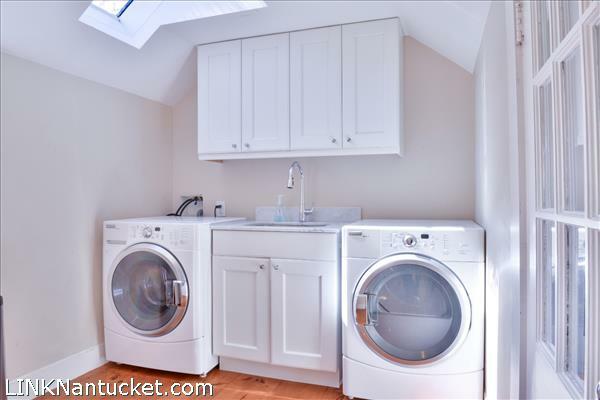 There is another entrance to the house that leads to a storage area and thru to the mudroom with washer and dryer. 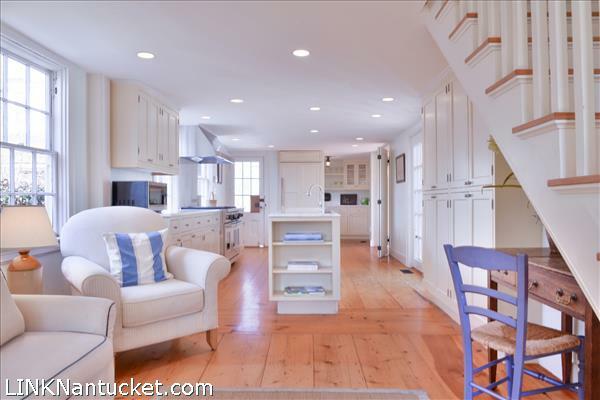 This rooms leads to a small seating area in the kitchen and the back staircase to the second floor. 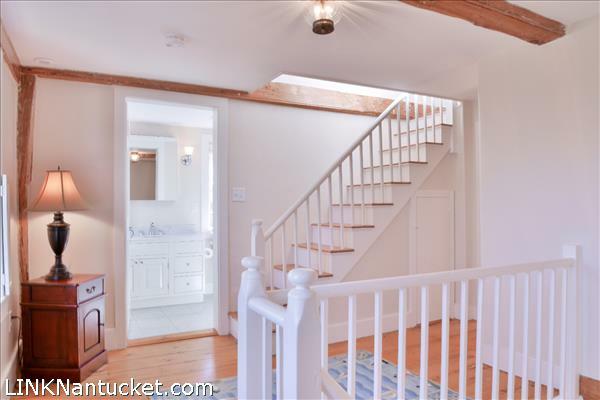 Second Floor: The front staircase leads to the master bedroom with closet and master bath. 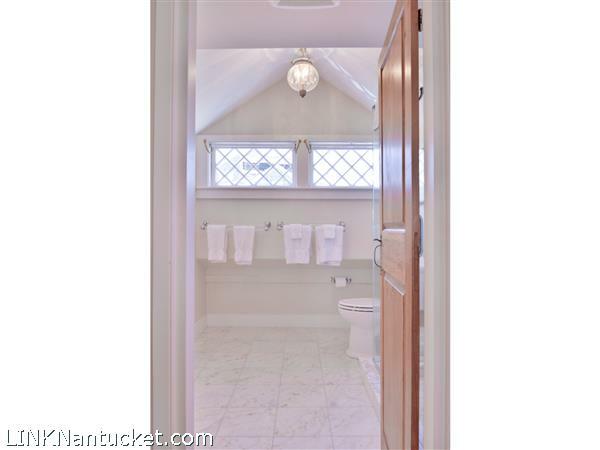 Full hall bathroom. 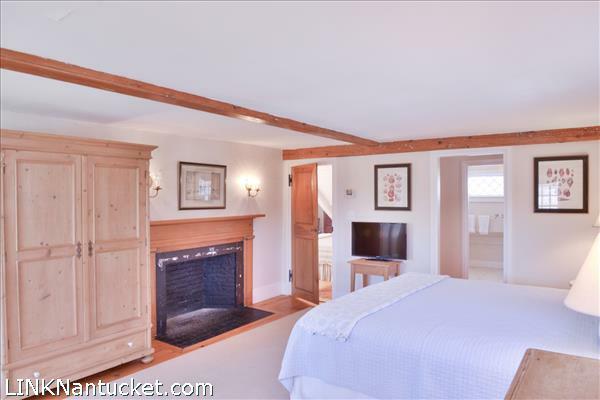 Large bedroom. 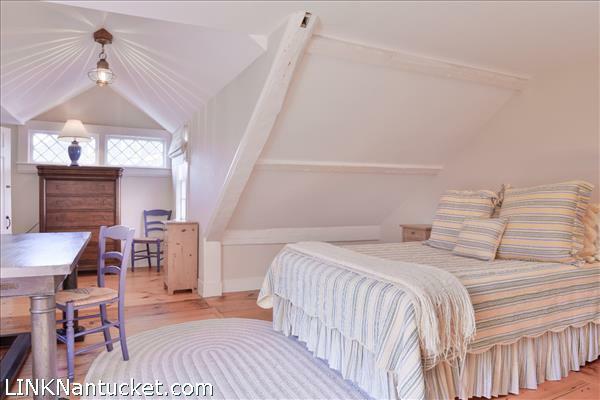 The back stairway leads to a bedroom, hall bath and another bedroom. 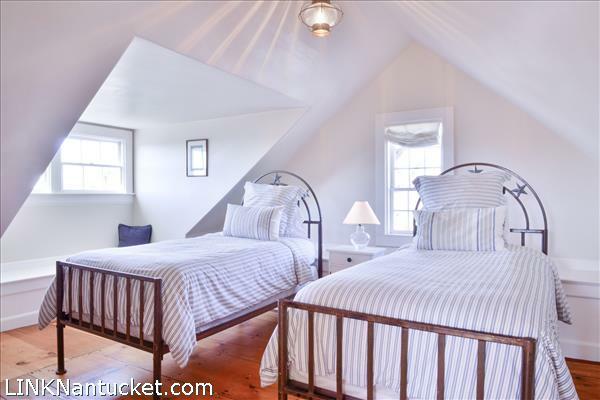 Third Floor: Large bedroom and full bathroom. 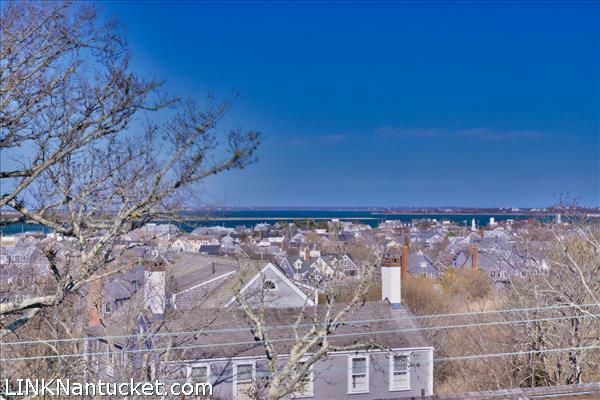 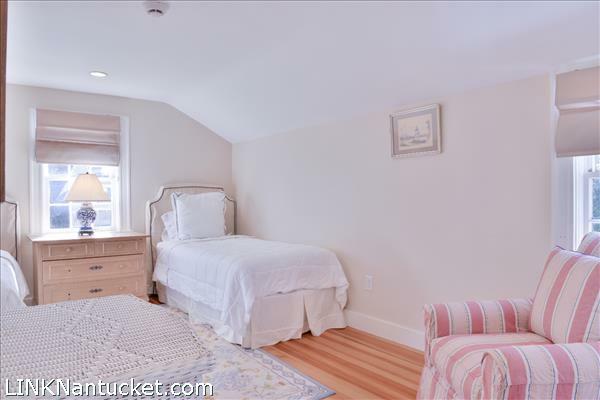 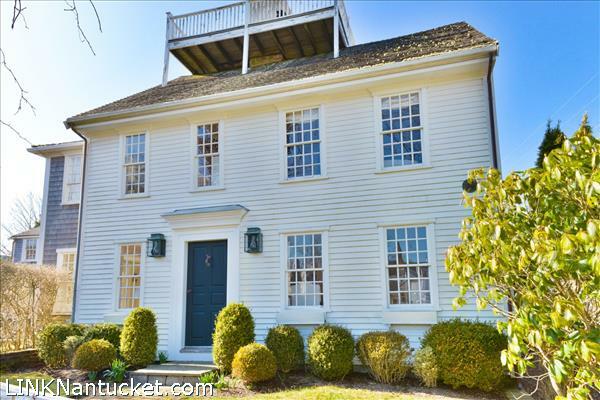 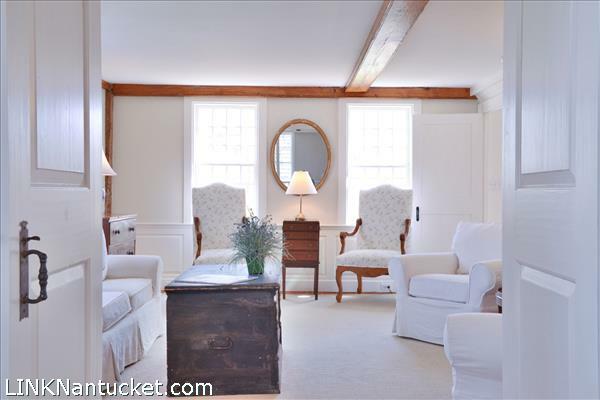 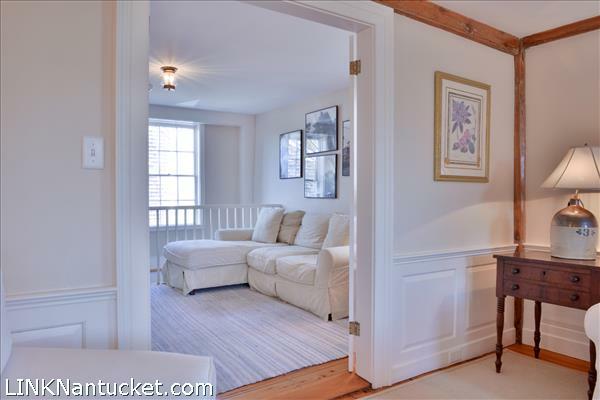 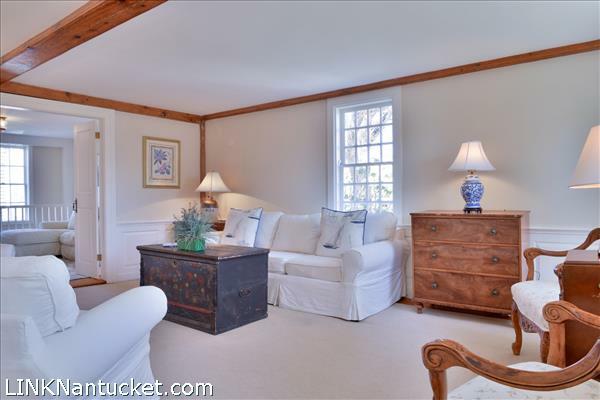 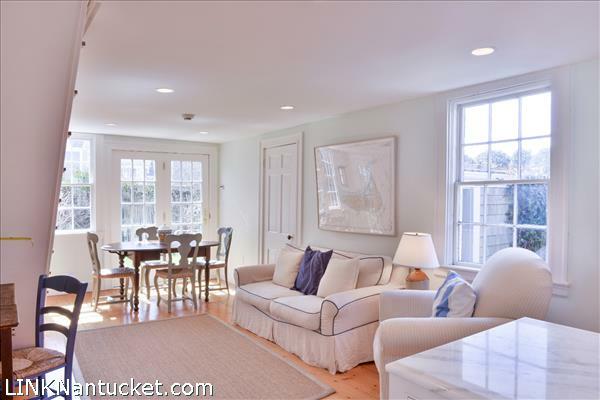 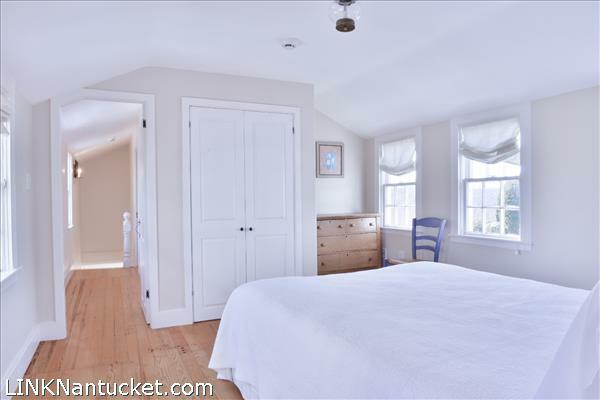 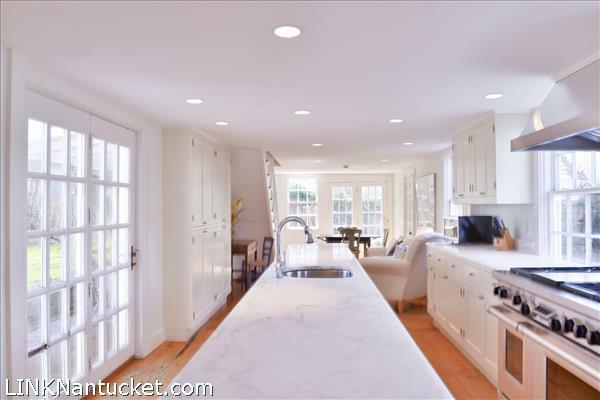 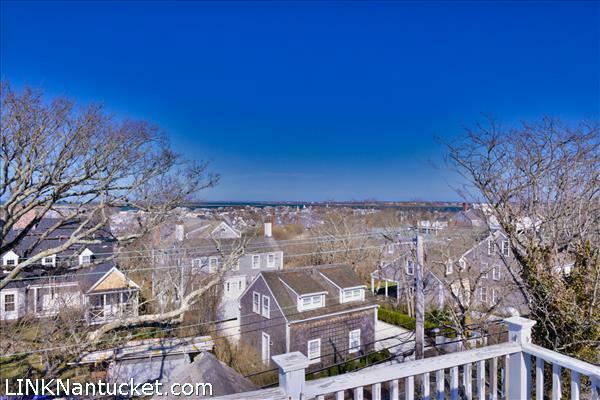 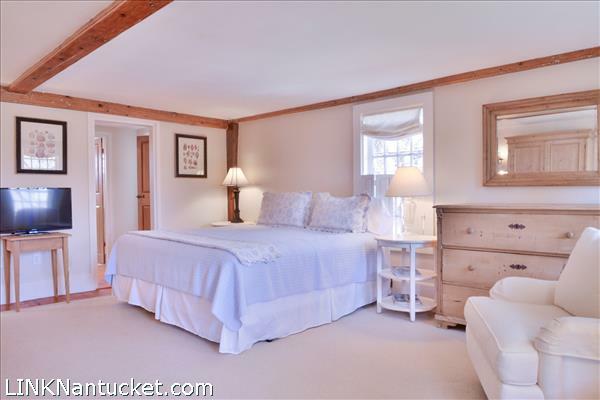 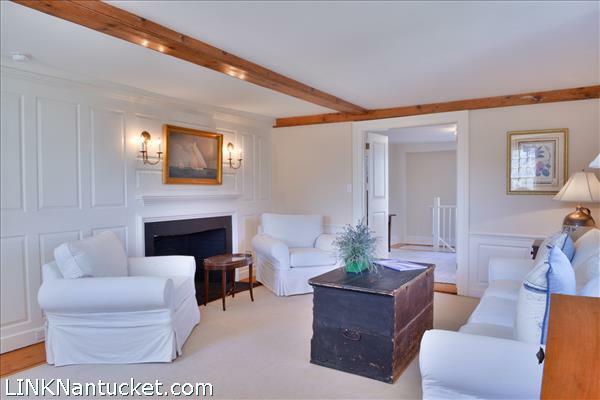 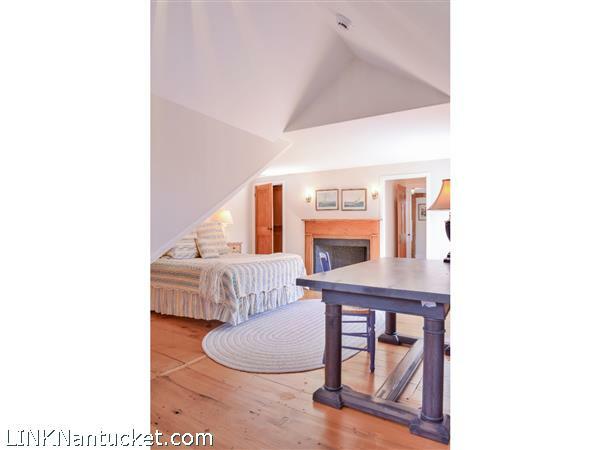 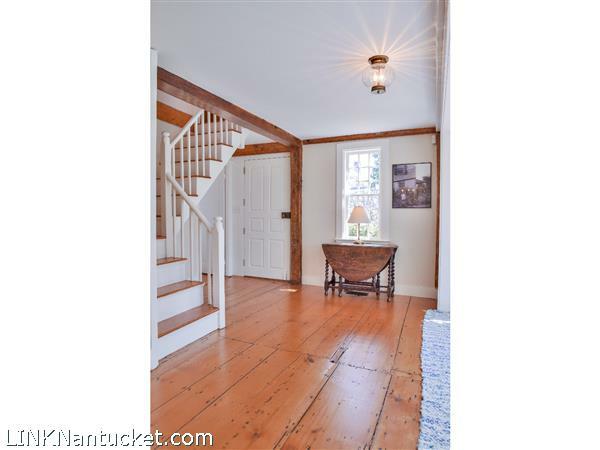 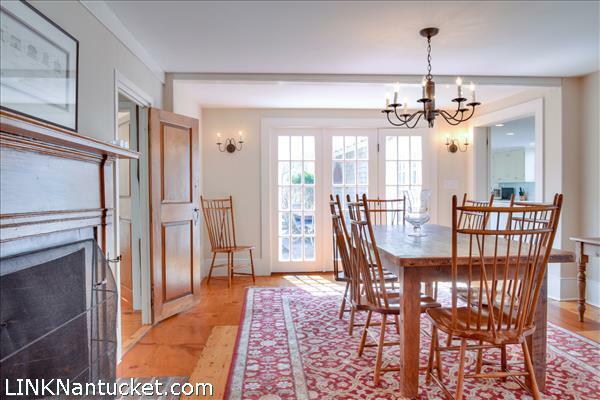 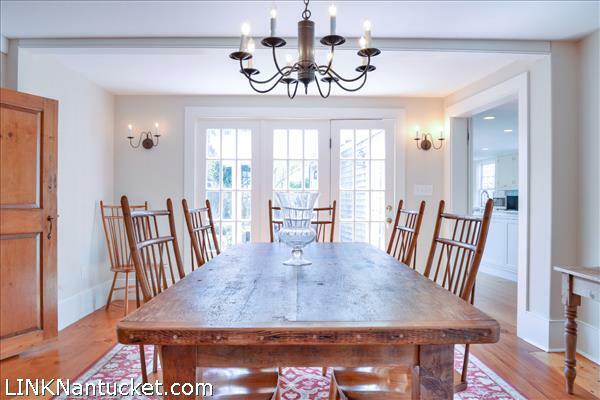 Access to the widow’s walk with beautiful views of Nantucket Sound and Town. 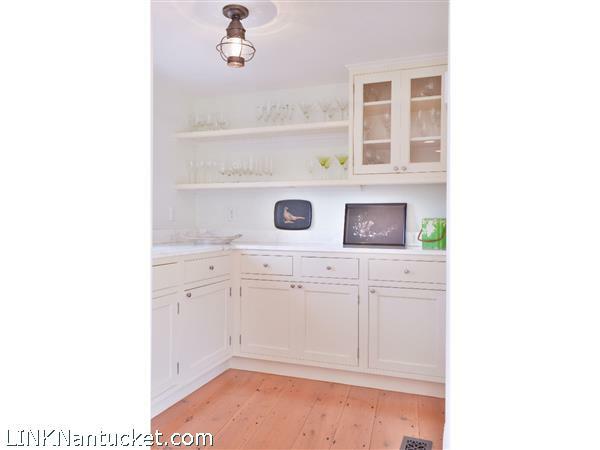 Basement: Full unfinished basement with high ceilings and egress windows. 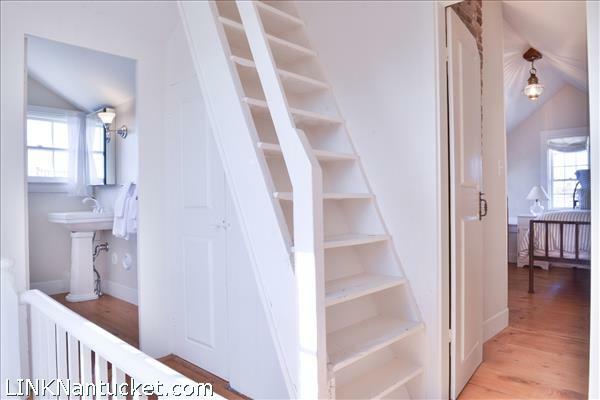 Great storage space just waiting to be finished off as additional living space.